You have questions about Marijuana, we have answers about Marijuana. Let’s talk about it. We’ve all heard the hype: Weed can cure any illness known to man. Weed relaxes you. It’s a natural herb and safer than any medication. Weed is the best painkiller there is. If weed, also known as pot, marijuana, or its given name of Cannabis, is truly innocuous, why has it been considered an illicit substance for so long? For one, it’s a psychoactive substance, a mood-alterer from the Cannabis plant that users had for many years typically used to get high and little else. Cheech and Chong, the famed comedy team, all but legitimized the pleasurable experiences of weed back in the 70s, showing mainstream audiences everywhere that pot-smoking was not only cool, but the greatest rush there could ever be. In recent years, with the revisit of the substance for its potential applicability towards legitimately treating pain and illness, marijuana has garnered a level of respectability that has helped legalize the drug in several states. You get the picture. The fact is, the majority of U.S. states still consider marijuana an illegal substance. Many authorities on the state and local level, as well as national, see pot use as little more than a way to get high. A selfish act, primarily among young adults. As we all know, however, young adults are certainly not the only user group out there. A quick review of national newspaper headlines will illustrate pot busts on behalf of prominent public figures, or older people being arrested for dealing or using, or even profiles of family pot businesses on the rise. After all this time, pot is gaining both a patina of respectability, and an even worse reputation in some circles than ever before. When both sides offer up the wealth and success of regular smoker Snoop Dogg as the thesis of their argument, we’re in trouble. The pro-smoking side points to the rapper’s inarguable success, and credits his “harmless” smoking with removing him from the temptations of the streets. and becoming quite the philanthropist. The other side says he’s a questionable role model to children, despite his success and philanthropy. But why? Surely, the times have changed. Is weed really that big a deal? Determining the specific length of time that weed remains in the system following recreational, or medically-supervised use, is an imperfect science. Generally, the answer varies from individual to individual based on their genetic makeup and other factors. There are various tests that can determine the presence of marijuana in one’s system. These tests can include a urine test, a hair test, a saliva test, and more. Athletes routinely take such tests as a requirement for play, to determine the presence of marijuana or other drugs. Employees take similar drug tests to determine if they are using on the job, or if they are coming into the job as a new hire with drugs in their system. In these events, pot is not treated differently than any other illicit substance, unless one carries a medical marijuana card. The presence of pot under such tests is typically considered an offense. Pot stays in a user’s system typically from 30 to 120 days. With all the controversy over the helpful or, conversely, the deleterious effects of marijuana, it is important to comprehend the nature of the drug itself. Firstly, marijuana is not known as a particularly dangerous, or heavy substance, along the likes of cocaine, heroin, methamphetamine or even alcohol. THC, or Tetrahydrocannabinol, is one of at least 163 cannabinoids identified within cannabis (of nearly 500 known compounds in the plant), and is known as the principal psychoactive of all the cannabinoids. It is the chemical compound responsible for the euphoric high experienced by many users, and along with the other cannabinoids interact with the brain’s receptors to create various effects and feelings. To further this explanation, THC binds cannabinoid receptors within the brain, and also the central nervous system, to produce its effects. THC-related highs are felt by many if not most users and are short-term in duration. For some users, anxiety can result from smoking pot based on body chemistry, and pot with varying strains and concentrations of THC may enhance that effect. The most typical of all side effects of THC include the following: relaxation, elation, sedation, pain relief, anxiety, paranoia, dizziness, laugher, decreased perception of time, bloodshot eyes, dry mouth, excessively high energy, memory impairment, hunger, drowsiness, and increased heart rate. There have been no documented cases on record of a death directly attributable to a pot overdose, unlike overdoses for cocaine, heroin, methamphetamine, or even alcohol. Due to this fact, the leanings of many to federally legalize pot has gained more and more support over the last decade. Further, there is very little evidence to support any long-term risks associated with THC. Some studies have suggested physical brain changes over time, chronic bronchitis, memory fluctuations, psychosis, tolerance (which is suspected of leading to a need for stronger substances), and cancer. These studies, however, have typically been independent and rarely validated with any efficacy. Medicinal effects of THC, on the other hand, include several that science does appear to positively validate. The drug appears to aid as a medication of sorts against PTSD, appetite loss, sleep apnea, fibromyalgia, ADHD, glaucoma, pain associated with multiple sclerosis, Crohn’s Disease, nausea, inflammation, arthritis, migraines, and more. So 30-120 days is what we’re looking at in terms of staying in the system. Science is conflicted with verifiable news of positive effects, versus negative effects. How Long Can Weed Be Identified in One's System Based on Specific Tests? Marijuana most frequently used for recreational purposes, by committed users, tends to be used daily. On a medicinal basis and under the supervision of a medical professional, marijuana is likewise most frequently used on a daily basis. A urine test can determine the presence of THC typically up to 45 days. A blood test for marijuana can determine pot use as far back as 75 days. A hair follicle test can determine moderate to high THC levels for up to 90 days from date of last use. Saliva tests and forehead sweat tests are increasingly used in traffic stops to determine presence of THC. Such tests are still being refined, and are primarily for short-term purposes. Note that THC breaks down in the body at different rates for different people. This is important for a user to consider if entering into an event, or a job, where such use is tested. It is equally important to realize that in most of the country, your usage is still illegal unless you possess a medical marijuana card, as mentioned earlier. We will not debate the pros and cons of pot or pot smoking here. That is not our job. Our job is to work with those of you who believe you have a problem, and try to help. Can You Elaborate on the Nature of the Specific Tests? Urine testing is the most common method for determining the presence of marijuana. In this instance, the marijuana itself is actually not the presence most often detected. 9-carboxy-THC is what is identified, which if present will lead to the conclusion that pot has been smoked, or otherwise ingested (in a brownie, for example). Blood testing is utilized for this purpose, but not as frequently due to the test determining the presence of pot with a lesser window. Up to 75 days, as opposed to up to 90 with a urine test. Saliva tests are administered to detect marijuana within a short-term following use, as the test cannot detect any metabolites. On the other hand, hair strand testing can identify metabolites once they pass to the hair follicle. In this regard, the presence of metabolites from harder drugs are also usually discovered if in the system. Though the drug only stays in the body for a relatively short period of time, the chemicals remain in your urine and hair for what can be several weeks thereafter. However, it is not the pot itself that remains; it is the THC. Many confuse hemp-based commercial products, such as soap, breakfast cereal, and environmentally-friendly shampoo, with the THC-laden marijuana that you smoke. The former group does not remain in the system for any notable period of time, whereas the chemicals from the latter do. The two primary substances that do show up in a positive urine test are THC, and 9-carboxy THC, which is a byproduct of the THC metabolism (or, metabolite). In some instances, the presence of such can show up in any form of a test for pot for up to 120 days, and sometimes even longer. The bottom line is this: If you are a recreational user, as long as you realize that such use is still considered illegal in most states, the risk is yours … and that of another driver in the event you are manning a moving vehicle. Let’s consider this question as it regards specific periods of use. For single use, pot can be detected in one’s urine for up to 8 days. For frequent use, pot can be detected in the urine for up to 15 days. Regular use is typically up to 30 days, heavy use for up to 80 days, and excessive use for over 120 days. Amphetamines remain in the system for up to 3 days. Alcohol remains in the system for up to 5 days. Cocaine remains in the system for up to 10 days. PCP remains in the system for up to 7 days. Opiates, which include heroin, remain in the system for up to 5 days. LSD remains in the system for up to 3 days. Psilocybin remains in the system for up to 5 days. Ecstasy, Molly and other “party drugs” remain in the system for up to 3 days. These examples are far cries from “up to 120 days” for the presence of marijuana. Let’s say you are reading this from overseas. You live in Europe, and your pot culture is as controversial as it is here in the U.S. In the year 2000, several epidemiological studies were undertaken to detect the abuse of cannabis among drivers. 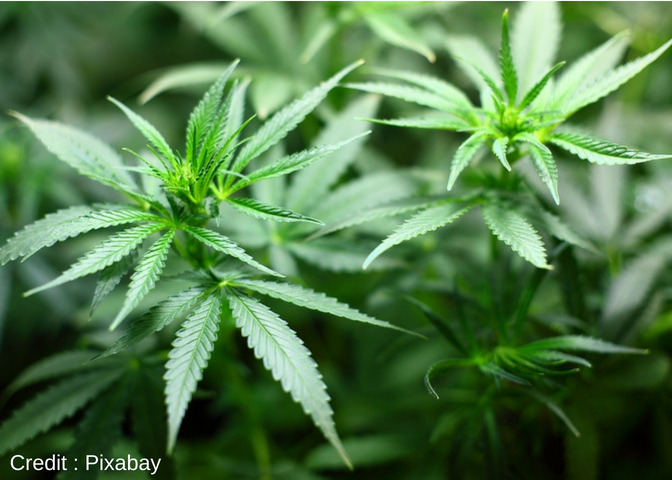 In a study uniquely performed with gas chromotography-mass spectronomy (GC-MS) to determine the presence of pot in saliva tests, several surprises were discovered. Most notably, the tested THC was revealed to be from specimens from injured drivers. The tests were taken during a 9-month period, where injured cyclists, car and truck drivers aged 13 to 57 years old, admitted into a local hospital, were simultaneously tested for other drugs. All subjects gave their consent; all remained anonymous. In nearly 50% of the cases, pot was the exclusive drug in the system. In the other half of the cases, pot was paired with other drugs, inclusive of cocaine, heroin, pharmaceutical medications, and more. The conclusion was this: Pot was enough to cause nearly 50% of the car accidents, where those injured could have lost their lives. As the years went on, testing continued as it does in the U.S. The various testing methods – urine, blood, hair, sweat and saliva – yielded similar results in how long the THC remains in the system after use. What the study augmented, however, was this: the argument of many that pot should remain outlawed. Why is Marijuana a Danger, Really? Marijuana itself is not considered a dangerous drug. It is the high that the drug induces, when someone is driving a moving vehicle, or working around dangerous equipment, or within an environment where others can be negatively affected, which becomes the problem. There are several U.S. states – New York, California, and Florida as but three examples – where car accidents as a result of smoking pot equate with accidents related to drinking and driving. Driving under the influence in any capacity immediately places not only yourself, but others sharing the road with you, in clear danger. We assume that many users reading this article already know this. Many reading this believe themselves to be responsible users, as in, they only smoke while at home, frequently as a way of coming down from a long work day. Maybe they – or you – are indeed responsible in your usage. We are not here to preach to you. We are here for you if you have any questions, or need any help. To that end, are you working tomorrow? Will you be driving tomorrow? Will you be operating heavy machinery tomorrow? Does your place of employment offer tests for pot as elucidated above? The decisions are yours. Again, the risks are too. You will not die of a pot overdose. Judge for yourself, though, if your usage is reaching a tolerance level, or if you are tempted to go on to something stronger. That temptation brings with it a whole other host of issues. Regardless, let us take a further look at some real case studies testing for the presence of pot, and the aftermath of those studies. But How Does a Responsible Pot User Convince Others that His or Her Habit Should Be Legalized? If you are a pot user who has never failed a drug test because you have never had reason to be tested, good for you. If, though, you have failed a drug test but still consider yourself a responsible user, your argument is weakened despite what may (or may not in the case of some) be the truth of the matter. The legalization of marijuana is outside of the scope of what we are trying to accomplish here. Remaining focused, we cannot advise you how to legalize your habit. We at The Recover are working within the realm of identifying an issue and responding to the innumerable questions that come into our office on a daily basis. Today we focus on testing for pot. Tomorrow we’ll be aggregating questions on other topics. If Pot Has Remained in My System During the Time I Had Taken My Drug Test for Work, and I Failed, Will This Be Part of My Permanent Record? We cannot speak for your employer, or for an officer of the law. States have their own rules. Cities within those states sometimes implement varying guidelines. We’ll just repeat a message that’s been stated time and again: Your usage is potentially not only your business. If in the presence of others, they can be harmed based on your state of mind and degree of your high. If you’re stoned, you may not be harming yourself but your perceptions of harming others may be challenged. We cannot tell you of the repercussions of your testing based on how long marijuana remains in your system, but we can remind you that your behavior under the influence can directly affect others. Again, none of this is proven. The studies, though, go on. Where do you stand regarding smoking weed? Do you believe the habit to be completely harmless, and simply a way to come down from the rigors of a tough day? Or, are you convinced that you can harm others if you are careless with your habit? In many ways, pot smoking is the most popular drug habit around. It can be argued that, statistically, alcohol abuse leads to more harmful ends. That may be true, but of the non-alcoholic substance class, pot truly is the most used drug of all on a national basis. The habit continues to inspire art and culture. Music and movies portray pot use as an everyday part of real life. Cannabis has become such big business, in fact, that a new television network has been in the works to feature stories on all aspects of pot culture. This long-in-development outlet was presented to a Hollywood studio by a couple of ambitious Southern California entrepreneurs, one of whom owns a business networking group devoted to the weed. Various newsstand magazines are likewise devoted to pot culture and, indeed, many consider 4/20 a national holiday. Where do you stand with all this? Should pot be completely legalized, or are the laws fine where they are now? What would you do? What are your thoughts about children being influenced by pot smoking? If you believe pot smoking is harmless, do you believe everyone should be able to do it? Let’s explore together. Please drop us a line with your thoughts, and any other questions you may have. As ever, we are here for you.